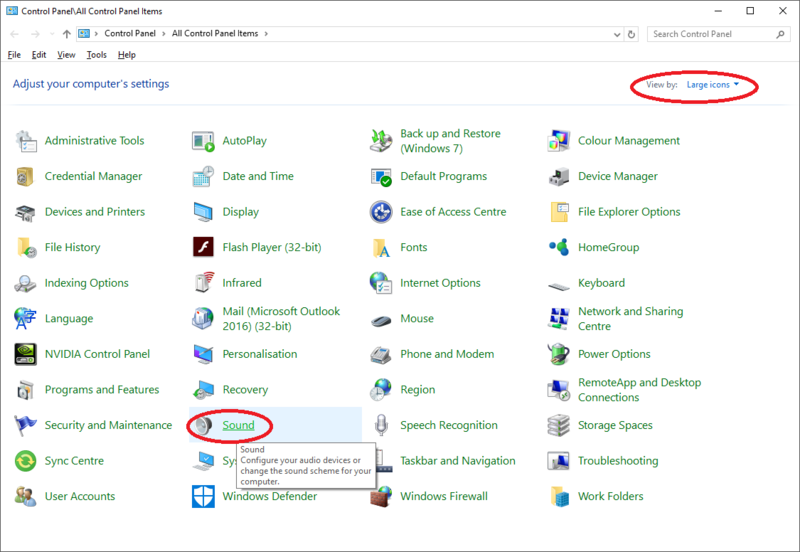 By default Skype (and other voip call programs) reduce the volume of systems sounds when you are in a voice chat. This is rather annoying when you are playing a game and chatting to friends. Fortunately it is easy to turn off. The trick is, it isn’t a Skype setting. 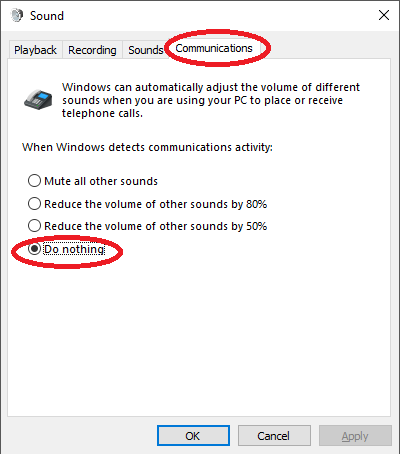 Select “Do Nothing”. Click OK.
Then select “Do Nothing” and click OK.